Romanians visit cemeteries during the Palm Sunday memorial for the departed in Herasti and Tunari. 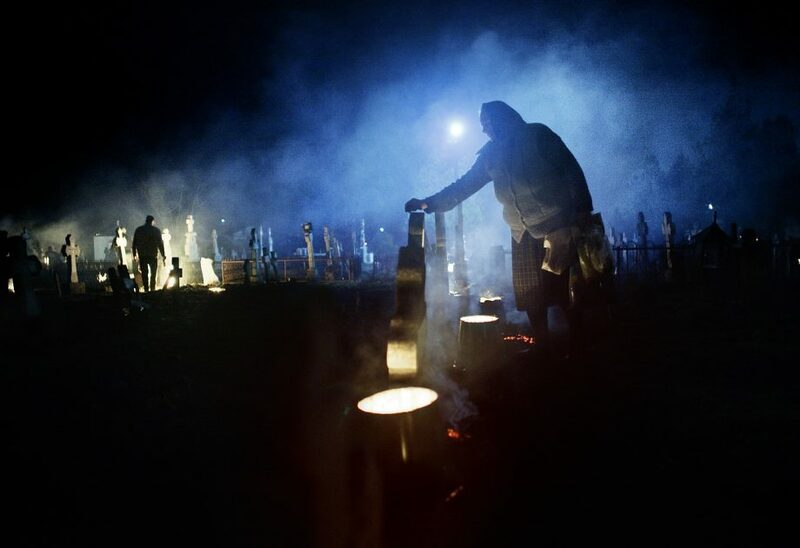 Orthodox believers in the village gather at midnight, light fires at the graves and share food in memory of their dead relatives. Romanians visit a cemetery during a Palm Sunday memorial for the departed in Herasti, southern Romania, early Sunday, March 28, 2010. 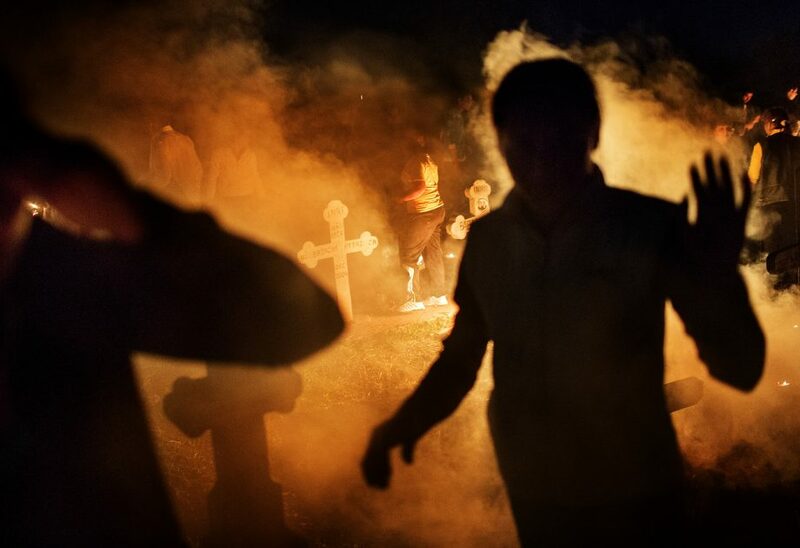 Orthodox believers in the village gather at midnight, light fires at the graves and share food in memory of their dead relatives. Romanians visit a cemetery during a Palm Sunday memorial for the departed in Herasti, southern Romania, early Sunday, April 28, 2013. 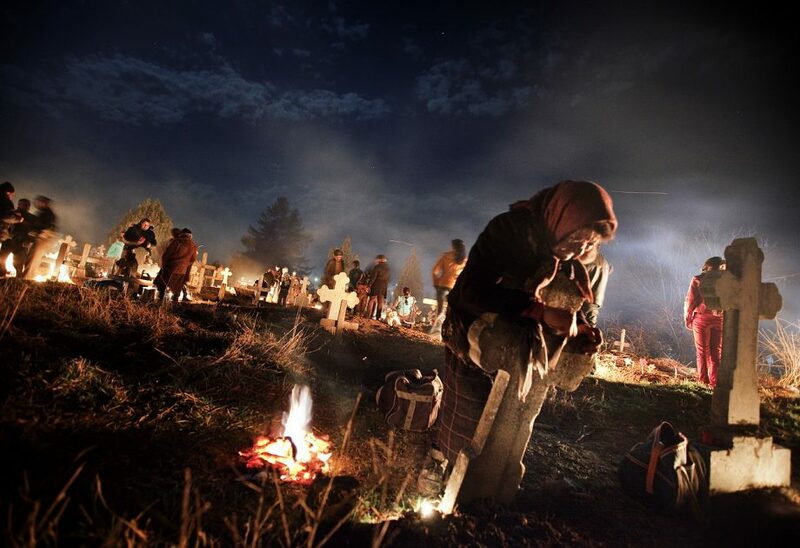 Orthodox believers in the village gather at midnight, light fires at the graves and share food in memory of their dead relatives.